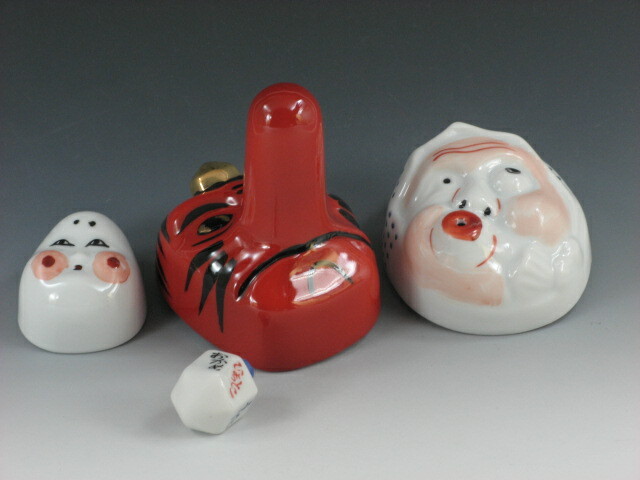 We can find heartwarming sakeware at many production center of pottery and porcelain in Japan. The first one has a fish in the inside of prospect, called “Sake no Sakana”, meaning “Something to nibble while drinking”, or literally “Fish of Sake”. 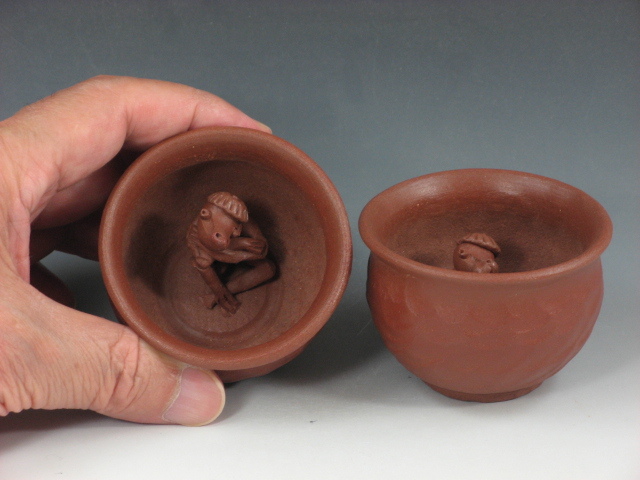 The second has a male or femal Kapa (Japanese legendary creature) inside. Whenever we enjoy drinking sake, we feel warm visually as well. 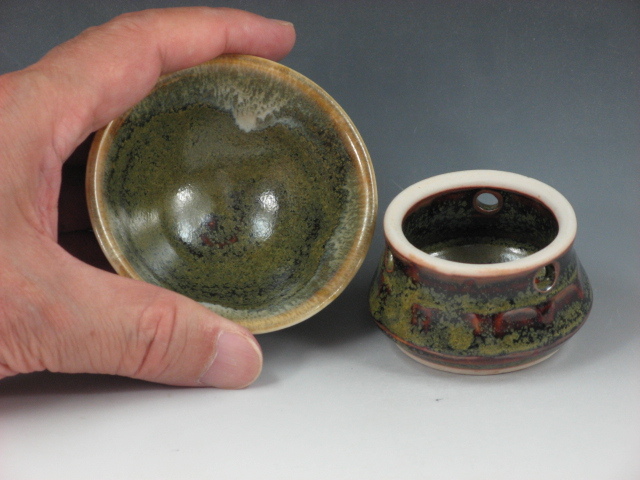 Joyful sake cups, “Pegu Hai” ! 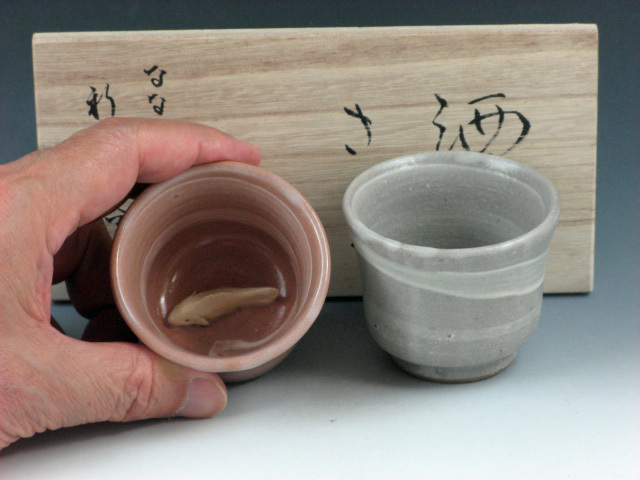 There are unique sake cups in Japan, so-called “Pegu Hai” by which sake lovers enjoy a lovely sake time among their friends. They are forced not to put their cup on the table and to empty their cup to the last drop. It might be a joyful game in drinking sake. 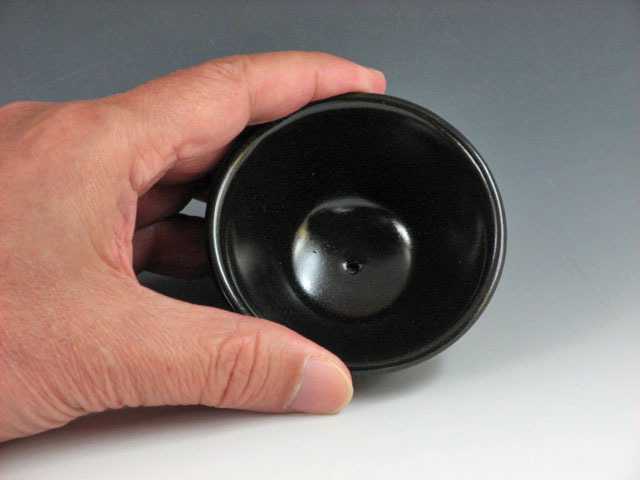 With the first one, they are forced to take a cup out of the different size of cups, as indicated by a spinning die. The second one has a pointed bottom, meaning no base to put on. Sometimes, a stand for the cup will be offered to relief their duty. Naturally, they have to drain their cup every time. The third one has a hole in the center of cup. Again, they have to empty their cup to the last drop by holding the center hole with a finger in drinking. It is quite fun, but you should be careful to try these cups!